2048 Original Puzzle Game is one of the best puzzle games, mathgames and logic games of all times ! Enjoy the most addictivepuzzle game with new additional features: Undo your 1 or 5 latestmoves, and directly start with tile 512 ! 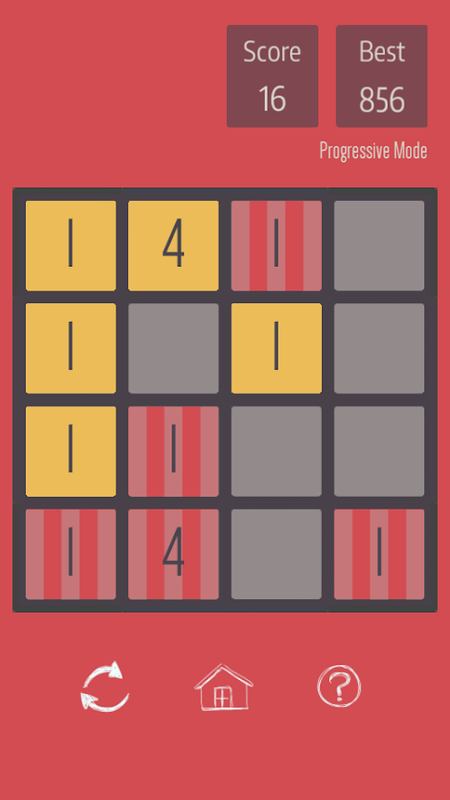 2048 game is an updatedversion of the original 2048 classic game. It has option to chooseyour board size, through the following options: 3x3, 4x4, 5x5, 6x6,8x8. HOW TO PLAY 2048 GAME: Swipe (Up, Down, Left, Right) to movethe numbered tiles. When two with the same number combine eachother, they will merge into one with number of total of the twocombined tiles. After every move, a new tile will appear on theboard to combine. Slide the numbers to merge them, 2+2=4, 4+4=8,8+8=16, 32 ... 64 ... 128 .. 256 .. 512 .. 1024 ..., when you reachto 2048, that is the big goal ! But not the latest number you canreach is 2048, go further to be the 1st in Leaderboard ! When thereis no empty place on board for new numbers to come, and when you donot have any more to combine, game will be over.. Download 2048game and kill your free time! Compete with your best friends andshare your best score to win them ! FEATURES * Classic (4x4), 3x3,5x5, 6x6 and 8x8 different board sizes * Endless game, afterreaching 2048 tile, you can go further until wherever you can ! *Your process and high score will be auto-saved very often * 1 Undoand 5 Undo for your latest moves. Use when you made wrong moves *Start from tile 512, when you want to see further you can startfrom bigger tiles * Beautiful and simple user interface *Leaderboard to compete for every mode of the game * Completelynative implementation for the best user experience * Supports alldevices including tablet devices Play 2048, enjoy the game andplease send your feedbacks anytime to improve the gameplay ! Thankyou ! Journey of 2048Let's make your own Journey with this Journey of2048 the simple classic Puzzle Game!This is kind of game that canhelp you create a whole new Journey while doing puzzles.◆ How toplay?- Slide your finger to move the Animals!- Combine the sameAnimals to create new ones- Unlock New world with new Animals.◆Features- Super cool Isometric design.- So many Animals to unlockeach Map.- 6+ maps to unlock.- Shiny effect.- Cute sound andmusic.Many Animals and Maps are going to show up!Well, let's enjoyit!If you have some problems or suggest to make this game better,please contact us!Thank you so much!